Recent news reports have described a dramatic reduction in the number of migrants arriving on the shores of Greek islands. 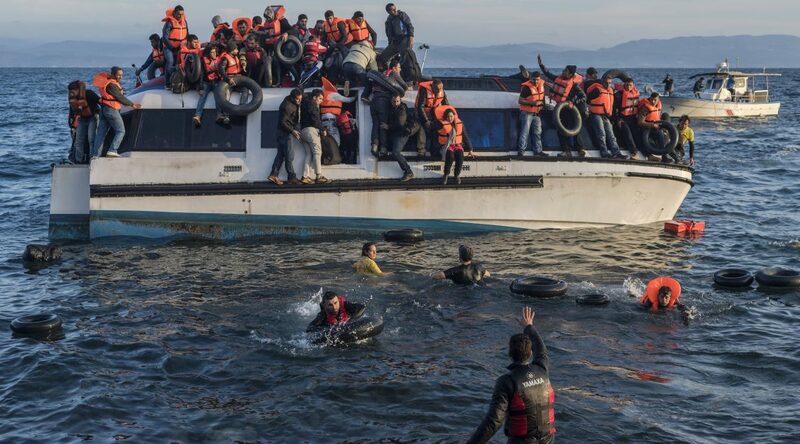 On March 26, 2016, the Guardian newspaper reported that the number of migrants arriving on Greek shores had “slowed to a trickle” after the number of arrivals fell from 1662 on Monday March 21, to 600 on Tuesday, 260 on Wednesday and zero on Thursday. This is in contrast to the estimated 197,000 migrants arriving in Greece in the month of October 2015 alone. This decrease in the rate of migration to Greece from Syria, in particular, closely follows the implementation of a deal between the European Union and Turkey. This agreement affords asylum in Europe to Syrians in Turkey, while Syrian migrants already present in Greece who do not seek asylum or whose asylum claims are rejected will be deported directly back to Turkey. There is no evidence to suggest that the Syrian conflict has changed in recent weeks to explain any reduction in migration to Greece. While the deal with Turkey appears to have had an immediate impact on rates of migration to Europe, such a change will not persist. In the coming months, migrant numbers will inevitably increase in the nations surrounding Syria. Lebanon, Jordan and Turkey have already provided refuge to millions of Syrians; far in excess of what has been offered by European states. Their finite capacity to offer safe refuge will be exceeded and the incentive to attempt a dangerous passage to Europe will increase. This agreement is not the solution it appears to be. As migration to Europe falls in light of this deal, migration also falls from the news agenda of European media outlets. In doing so, the welfare of migrants, and those attempting to flee the conflict in Syria, disappear from the political consciousness of European policymakers. Well over one million people have arrived in Europe having fled harm at home over the last two years. Policies implemented in the Autumn and Winter of 2015 in states across Europe sought to deprive migrants of their assets and limit their access to welfare in the hope that a neighboring state rather than their own would become migrants’ intended destination. This “race to the bottom” of welfare provision excluded migrants from many of the most basic welfare entitlements. Those fleeing the Syrian conflict do so because there is no alternative. While the conflict persists, there is no recourse to return to a place most consider home. Such policies do not serve as a deterrent and instead only cause harm to already vulnerable and marginalized populations. The reality of Europe is often far worse than those who have escaped harm at home could possibly have imagined. Healthcare is costly or inaccessible, state services are inseparable from the risk of identification and deportation, gainful employment is often impossible or exploitative. The coming months provide a critical opportunity to offer meaningful sanctuary to those fleeing the horrors of war and persecution who have already begun to settle in Europe. By providing welfare, education and healthcare, in addition to opportunities for employment and integration into their local communities, states may assist populations at risk of isolation and alienation in becoming active, beneficial contributors to their societies. Politicians and the public should be wary of the false reassurance afforded by the decrease in migration rates as a result of the Europe-Turkey agreement. While over one million migrants live in uncertain, vulnerable circumstances across Europe and more continue to flee a conflict with no immediate sign of cessation, the work of societies and governments to address the political and social challenges posed by the consequences of conflict is incomplete. As politicians meet in the coming months they must remember the humanitarian ramifications of conflict. They must remember that recent migrants who have settled in Europe are humans who have fled war, hunger, poverty and social injustice. To willfully ignore their presence, or to impose ever more restrictive policies for political gain is a violation of intrinsic human rights that transcend national borders. They must renounce fearful, insular rhetoric and replace it with politics of openness and humanity. Dr. Jonathan Clarke is a Kennedy Scholar and MPH candidate in quantitative methods at Harvard T.H. Chan School of Public Health. He is an academic clinical fellow in general surgery in the United Kingdom and holds first class degrees in biological anthropology and clinical medicine from the University of Cambridge. His main research interests are in the use of data in health systems to ensure equitable provision of care to marginalized populations.